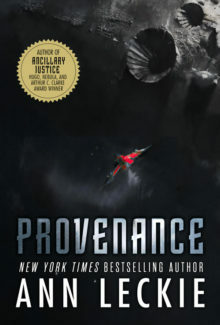 Provenance is a science fiction novel written by Ann Leckie released in September 2017, which takes place in the same universe as her breakout Imperial Radch trilogy (Ancillary Justice (2013) , Ancillary Sword (2014), Ancillary Mercy (2015)). This book takes place shortly after the events of Ancillary Mercy. It doesn’t share any of the characters or settings, but some of the political forces, cultures, technology, and alien races are familiar to those who’ve read the trilogy. I don’t think you’d have any trouble following the story if you hadn’t read the trilogy, and I think it would work fine as a standalone, but you may have a shortcut to understanding certain elements from having seen the cultures and species in the previous books. 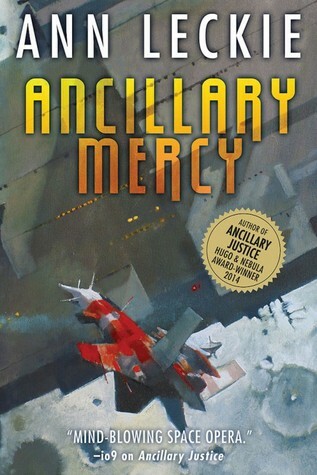 Ancillary Mercy is the third and final book in Ann Leckie’s award-winning Imperial Radch series with previous installments Ancillary Justice and Ancillary Sword. If you are a newcomer to the series, these are books that I would recommend reading in order, otherwise there’s a lot of important events that aren’t going to make a lot of sense. You can read my review of Ancillary Justice here, and my review of Ancillary Sword here. There’s no way to discuss this book without spoiling major elements of the previous books, so I’m not going to try.